Today Entertainment Weekly revealed some new photos of Jabba’s Sail Barge from HasLab. They also revealed a second figure that will be part of the deal. 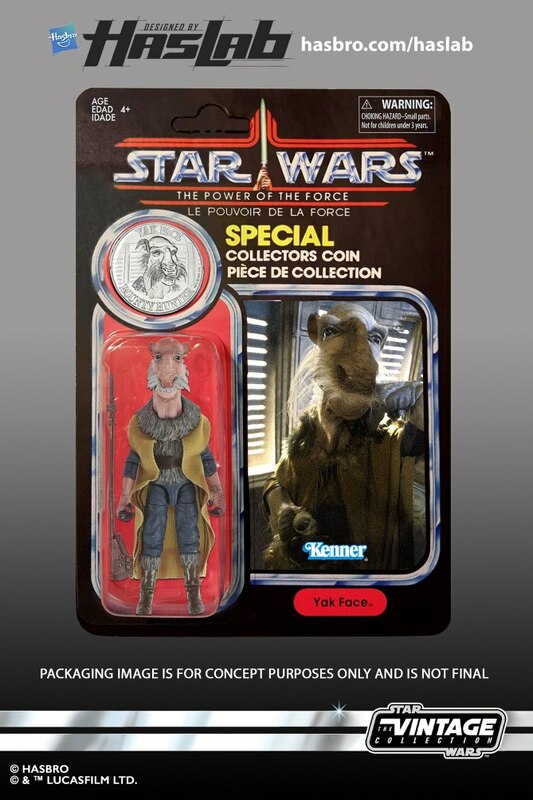 A replica of the Kenner Vintage Power of the Force carded Yak Face figure with collectible coin will come as an exclusive. Make sure to check out all the images that were revealed earlier at Entertainment Weekly’s site. If you have not yet signed up to back the Jabba’s Sail Barge campaign make sure to do so at HasLab.